Pampi is a student at Khirerkote High School. She resides at small village named Baganbari in the district of Alipurduar, West Bengal. She lives with her parents and two younger siblings. All of her siblings are studying. Her mother Amina, is a house wife and a woman of great strength and dedication. Pampi’s father is a rickshaw puller who has very low income. The household income tends to be very small, and is not sufficient to bear the cost to educate their three children. Her mother somehow manages to cover the expenses. 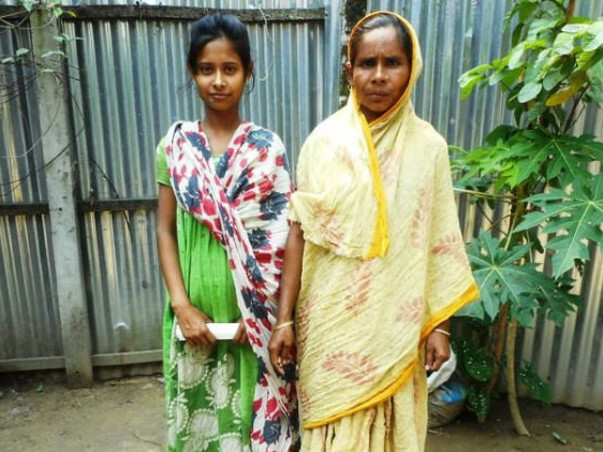 Pampi is in 11th standard and it is difficult for her mother to pay for her study materials, school fees and tuition fees and other educational expenses. Pampi is very studious and has good scores in her last board exam. Now if she is provided with private tutors and necessary educational materials she can also score in her forthcoming higher secondary examination. 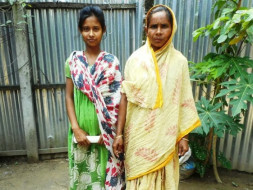 Hence Pampi’s mother Amina approached BJS, Milaap’s partner for an education loan of Rs.25,000 to cover Pampi's education costs. Pampi aspires to be a school teacher in the future. Her dream can be fulfilled only if she can complete her education successfully. Pampi and Amina are grateful to all the lenders for their help and support.